I've heard that Aramaic and Hebrew are similar languages in vocabulary, syntax, and structure. There is, however, some debate about which is the older, or original, base language. After a bit of searching, it looks like both languages came into use at around 1200 BCE. Do Jewish texts or rabbinic sources provide any further information about which of these languages is older and, perhaps, the original? We see evidence that Adam spoke Hebrew because he gave Eve two names, each of which makes sense only in Hebrew. He called her isha (woman) because "she was taken from ish (man)," and he called her Chava (Eve) because "she was to be Mother of all chai (life)." The very name Adam is from the Hebrew word adamah (earth), referring to the fact that G-d created Adam from the earth. From the time of Adam and Eve until the generation of the Tower of Babel, everyone spoke Hebrew. 1)That Adam spoke Aramaic after the sin, but not before. 2) Aramaic is a corrupted form of Hebrew, in which case still Hebrew was the only language, but Aramaic was the corrupted form spoken for secular purposes. So it seems that Hebrew came before Aramaic. I encourage you to look at other MY discussions similar to your question. Rabbi Yehuda HaLevi (Kuzari, 2:67-68) writes that Abraham spoke both Aramaic and Hebrew, using the latter for holy purposes and the former for everything else. On the other hand, Elias Levita (known as Rabbi Eliyahu HaBachur) writes that Aramaic was a late corruption of Hebrew which began after the death of Noah's son Shem. Some authorities like Ibn Ezra, Rabbi Shmuel Yehuda Katzenellenbogen, and others seem to say that Hebrew and Aramaic should actually be considered one langauge, not separate language. I would say that this leads us into the question that linguists have never really answered: What is the difference between a dialect and a language? What is the cut-off between the two? SOURCE: Lashon HaKodesh: History, Holiness, & Hebrew (Mosaica Press, 2014) by Rabbi Reuven Chaim Klein pages: 28-30; 71-73; 175-186. Not the answer you're looking for? Browse other questions tagged hebrew tanach aramaic . 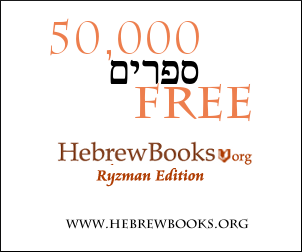 Good Jewish Blogs about the Modern Hebrew language?